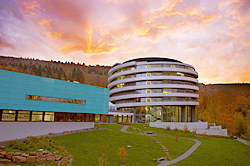 The cooperation with the EMBL includes participation in all of EMBL's research activities, access to its scientific core facilities and affiliation with the EMBL International PhD Programme (EIPP) and the EMBL Interdisciplinary Postdocs (EIPOD) programme. Likewise, the Medical Faculty provides full access to its facilities, provides the laboratory space for the MMPU and funds scientists through its post-doc fellowship programme. Predoctoral as well as postdoctoral fellows strongly benefit from the sharing of medical and basic science expertise. 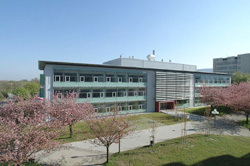 Since summer 2011, the MMPU labs are united in common space in the Otto-Meyerhof-Zentrum (OMZ) on the Medical Campus of Heidelberg University ( Google Map directions), within walking distance from the German Cancer Research Centre (DKFZ) and the Centre for Molecular Biology of Heidelberg University (ZMBH), and a short drive from EMBL.